InstaGrandmas: Is Selling To Seniors On Social Media Worth Your Brand Dollars? The last ten years have seen a sea change in the world of consumer packaged goods, as nimble digital-native brands have built empires off the maturation of e-commerce infrastructure and the proliferation of social content channels (e.g. Instagram, Snap, etc.). Changing consumer values in younger buyers and the opportunities afforded by those content channels have transformed the meaning of consumer branding. But this revolution in commerce and marketing has left behind brands that excelled at selling to older consumers through the traditional media channels of print and TV. They’ve been doubly disadvantaged: as incumbents they’re also reluctant to leave behind their tried-and-true practices; and their core customers were not early adopters of social media, so there was little incentive to experiment and get better. With social media now stretching far beyond young early adopters, however, has that changed? Can brands reach and acquire older customers through social media? Marketing and advertising has long obsessed over capturing the hearts, minds, and eyeballs of the young — hence the attention paid to the historically coveted 18–34 demographic. But there are compelling hard-money reasons to pay close attention to older consumers — they are, counter-intuitively, a growing class. McKinsey estimated in 2016 that the older adult population in developing countries would grow by a third through 2030 and account for half of urban consumption growth during that period, valued at $4 trillion. Given that many older consumers are retired, they have more spare time on their hands, which might explain McKinsey’s finding that they spend 25% more time shopping per dollar spent than their younger peers do. That extra time might find an outlet in the expansive brand identities cultivated by consumer companies of the last decade. Tech giants are starting to sit up and take notice: Alibaba’s consumer-to-consumer marketplace, Taobao, rolled out an app specially designed for the older consumer in early 2018, for example. ● Do enough seniors actually use social media? ● Do seniors shop online? ● Are seniors open to brand appeals through social channels? Do enough seniors actually use social media? Contrary to some advertisers’ opinions, seniors are people too, and much like the rest of humanity they have migrated to platforms like Facebook. Particularly Facebook, if we take this subreddit as firm evidence. Pew Research gives us slightly more scholarly backing: Facebook is overwhelmingly the most popular social media site for non-millennials. 65% of those aged 50–64 and 41% of 65+ used the site. The next most popular platform was Instagram, with 21% and 10% respectively. More and more seniors have taken to social platforms over time: Pew found that, in 2017, 34% of seniors used social media, up from 8% in 2009. According to Nielsen, older demographic usage of social media is not only broadening, but deepening. The proportion of total weekly media time spent on social media by the 50+ crowd increased 64% between 2015 and 2016. It was the largest increase seen across any demographic. Pew also noted that social media usage among seniors broke strongly across income lines, suggesting that the seniors brands most want to reach — those who can afford to buy lots of stuff — are the most reachable. Less than a quarter of seniors making less than $30,000 per year use social media, while nearly 60% of the $75,000+ set do. Ecommerce has broad penetration across generations, but social commerce differs significantly. 90% of shoppers aged 18–29 had purchased something online, while 59% of 65+ had. 77% of 18–29 had used their phones to purchase something online; only 17% of 65+ had done the same. 24% of 18–29 had bought something through a social media link; only 5% of 65+ had participated in this kind of social commerce. So seniors are a growing class of consumers on social media that does shop online. So it’s theoretically possible for brands to reach them and push purchase decisions before they depart a digital storefront. But is it really feasible for brands to acquire older customers through social channels? Are seniors open to brand appeals through social channels? It looks like an uphill struggle. More than half of seniors will only shop at their favorite food-and-beverage stores, and prefer traditional versus experimental packaging. Research on older adult consumer habits (albeit from 2010) shows that they actively resist switching brands after establishing a favorite. In the fragrance market, women tend to be stay loyal longer to their perfumes as they age for example. These findings suggest that the cost of acquiring older customers is significantly higher than for millennials or Gen Z. And this in a time of soaring CACs across social channels writ large. They do, however, also suggest that if you get an older customer on your side, they will be likely to be more brand loyal over time, relative to other customers. This presents an interesting opportunity for established brick and mortar and established brands to cross-sell new products within existing, trusted brand umbrellas to older consumers through social media campaigns. 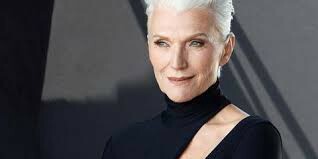 CoverGirl is a brand pursuing this strategy: hiring older women, such as 70-year-old Maye Musk, to represent the brand as CoverGirls. Musk — yes, as in Elon Musk’s mother — has nearly a quarter of a million Instagram followers, and appeals to those followers as a long-time nutrition entrepreneur and model. The campaign used traditional channels, featuring a video commercial, but the message incorporated plenty of digital marketing as well. Lancôme brought Isabella Rossellini — an Italian actress, model, and artist — back on board as the face of the brand. Thirty five years after she was first announced as the face of Lancôme. Critically, these moves are changes in messaging rather than channel innovation. The main takeaways? The sliver of the senior population that brands want to reach — those with disposable income to spend — are networked in the social sense. Facebook is the best platform for reaching them — this conclusion is reinforced by the testimony of marketers who’ve tried to reach this demographic. While most older consumers have bought something online, they’re unsurprisingly much less likely than their younger peers to have purchased items through their phone or a social media link. 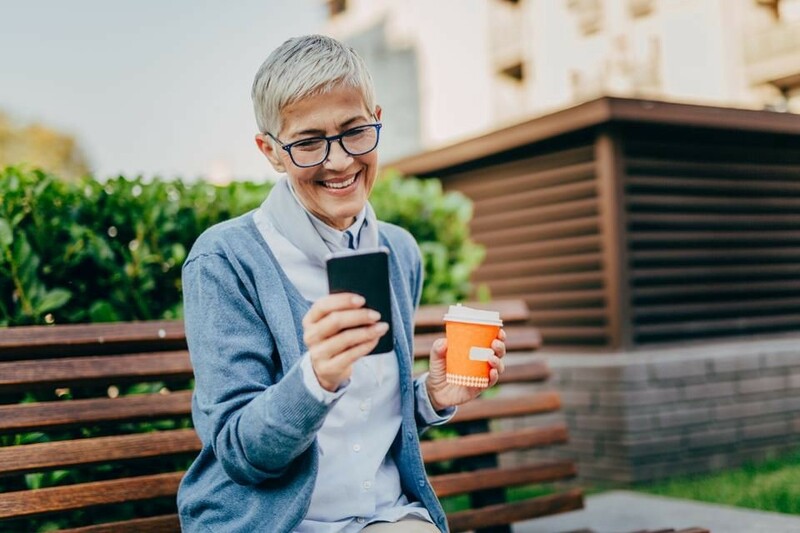 Despite the fact brands could reach older adults online or through social channels, the rising cost of customer acquisition on such platforms — and the fact that older adults are less likely to switch away from their preferred brands anyway — means it might be worth sticking to marketing in the analog world when thinking of selling to the 50+ demo. Sunny Dhillon is a founding partner at Signia Ventures, a $85m seed and series A venture capital firm based in the San Francisco Bay Area. He invests in consumer and enterprise startups. He previously worked as the first business development employee at a venture backed spin-off of New Line Cinema, directly for the Lord of the Rings trilogy producers (hat tip to Mark Ordesky), as well as in corporate strategy for Warner Bros., before launching one of the App Store’s first location-based apps and starting Signia Venture Partners in 2012. Originally published in Forbes and reposted on Linkedin. Special thanks to Signia’s Alex Lloyd George for his help on this article. InstaGrandmas: Is Selling To Seniors On Social Media Worth Your Brand Dollars? was originally published in Hacker Noon on Medium, where people are continuing the conversation by highlighting and responding to this story. Previous PostPrevious Static vs Dynamic Website — What’s the Difference in 2019? Next PostNext So What Does This Button Do?